Plumbers, carpet fitters, electricians, builders, joiners, florists . . . whatever you do, you should make sure you can be found in the one place everyone is looking - the internet. 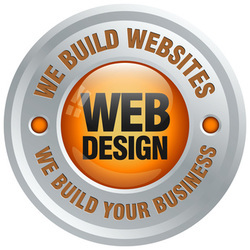 A well designed website is one of the most effective and best value ways of attracting new customers for your business. An effective website can pay for itself in just a few weeks through new customer leads and it gives you an opportunity to promote yourself 24/7, 365 days a year. When looking for a web design company make sure they offer a website which you can easily update yourself so that as your business grows your website is never out of date. At Uedit we have over 10 years of experience in building quality websites using the latest technology which will reach your customers and has one of the simplest and most intuitive self editing platforms available today. We are based in the Kendal area of the South Lakes and build websites for many local customers based in Barrow - in - Furness, Dalton, Ulverston, Grange, Kendal, Windermere, Milnthorpe and Lancaster. However we also build websites for companies based anywhere in the UK offering full telephone and email support 365 days a year.